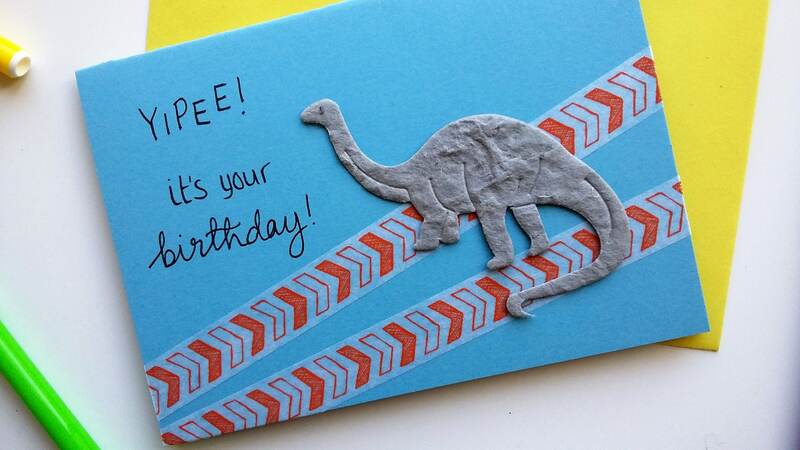 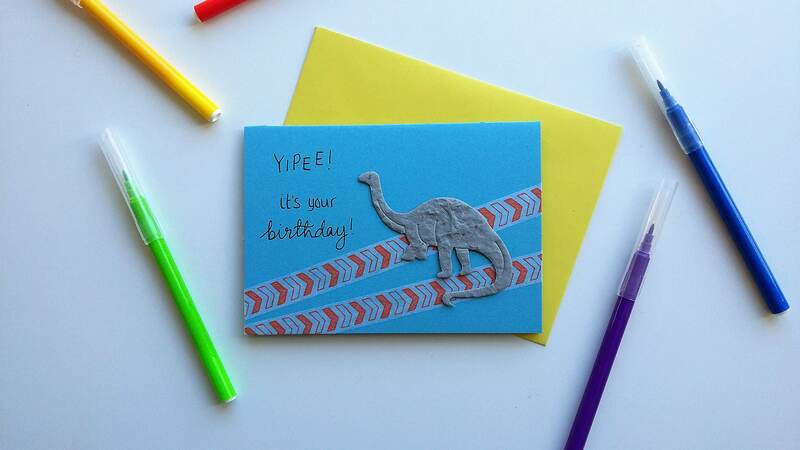 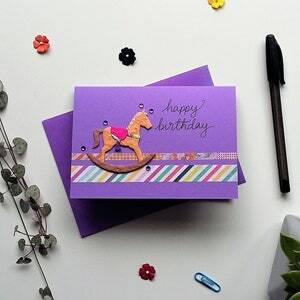 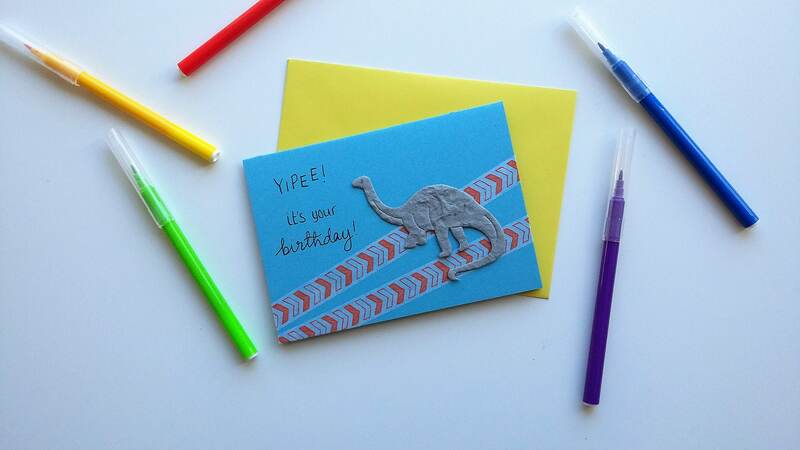 The perfect fun card, featuring a Diplodocus dinosaur to wish someone a great big Happy Birthday. 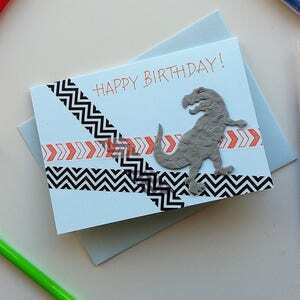 The celebration card is suitable for all - children and adults, male and female, any dinosaur lover! 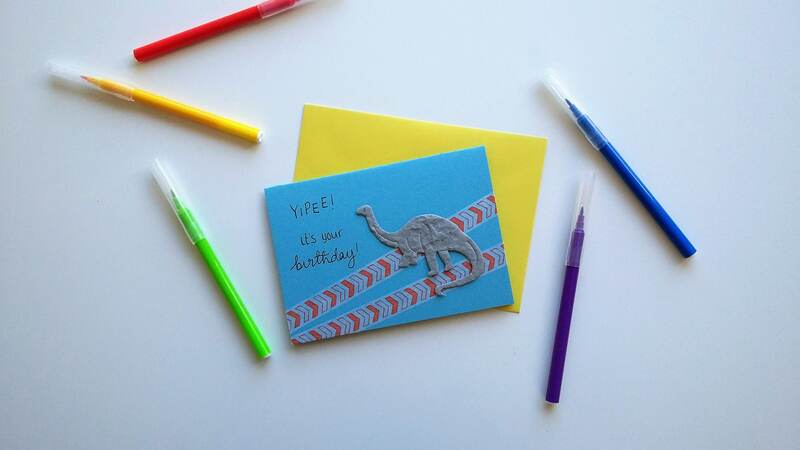 Orange coloured tape adorns the bottom of the blue card, with a bold hand written 'yipee! 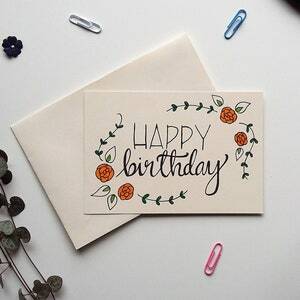 it's your birthday' message in mixed modern typography. 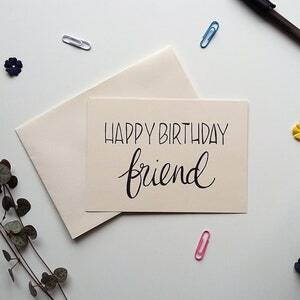 This A6 greeting card is made on eco-friendly, recycled blue card, and has been left blank inside for your own message. 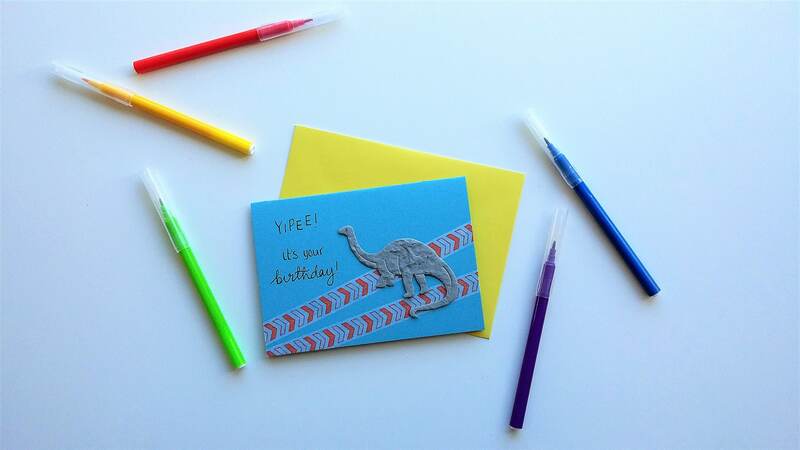 It includes a colourful envelope, and is presented in a clear biodegradable cellophane sleeve to protect the card.